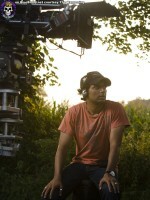 The Happening is the forthcoming film from writer and director M. Night Shyamalan. My favorite Mark Wahlberg movie was (no, not Boogie Nights, don't even get me started on that) The Big Hit and my favorite John Leguizamo flick so far has been Empire and I liked Zooey Deschanel best as the crazy sort of ex-girlfriend on Weeds. M. Night "I see dead people" Shyamalan is best known for his twist endings, most notably where Bruce Willis as Dr. Malcolm Crowe gets most of the way through The Sixth Sense without figuring out that he is dead. That movie would have held together well, whether or not that suspense and surprise were there, but having them there was certainly a plus. Of course, because we have the internet now, a lot of people know what the twist explanation in The Happening is. The movie starts off where people are committing suicide en masse. If you are gothic enough, you probably don't feel any urgent need to immediately research why people might do such a thing and you can wait to actually see the movie and get its message as the filmmaker intended and not filtered through digital spoilers.